Currently running my old Dell XPS 8300, i7 2600 3.4GHz processor and a Radeon HD 6950 card. 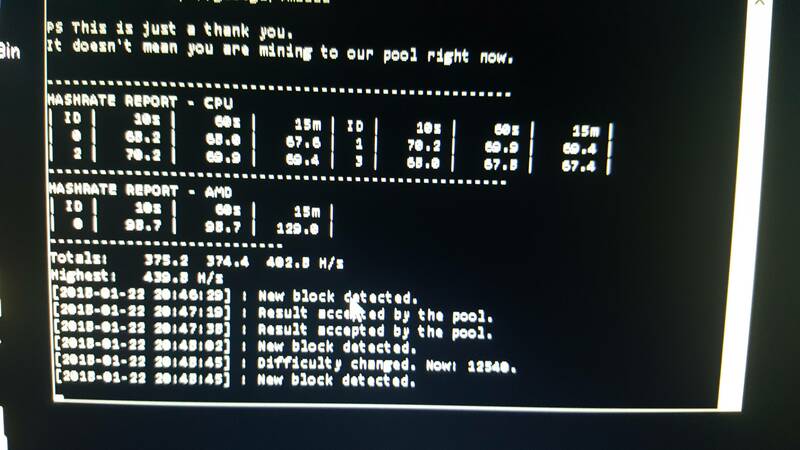 Using the unified XMR-stak miner I'm getting around 270 H/s from the processor and 130 H/s from the 6950, that's using Afterburner to oc the card to GPU clock of 949 MHz, and mem clock of 1550 MHz, running around 70C. Now, the nitty gritty bit.....was looking at getting an upgrade from the 6950 to a second hand GTX 780, can anyone give me an idea of how much of an improvement (if any) I'm likely to get running the newer used card? They tend to go for around £120 or so used, I'm not looking at a quick ROI as this is purely a background hobby for my comp which has been gathering dust! I could go in to a longer answer, but essentially the crux of it is a GPU that old is not likely to provide any greater performance for mining that would be worth the investment of purchasing it. To really get significant improvements in hash rate per watt, you should consider getting current generation AMD grpahis cards or basically any high end CPUs.